Most people think of environmental issues when they hear the word sustainable. But when it comes to sustainable seafood, there is another impact that is even more important for you to know about – your health. 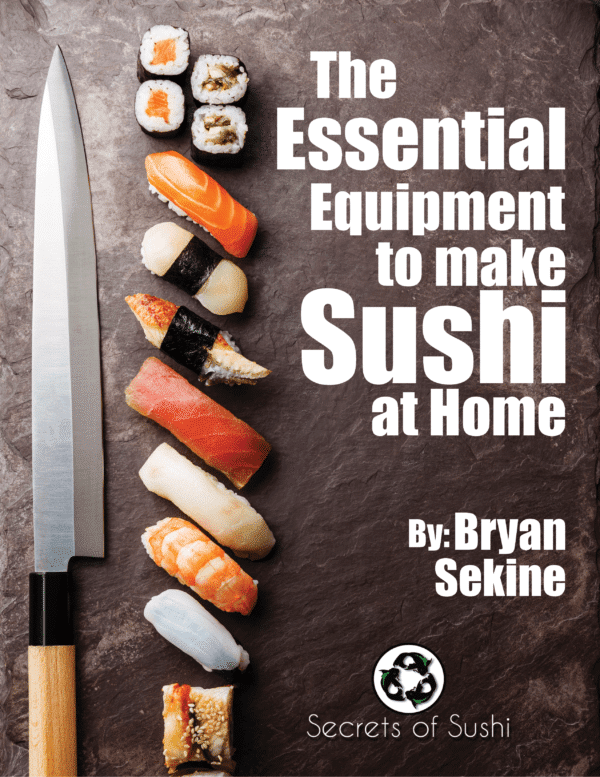 When I started training to become a sushi chef, I assumed that I was doing a good thing in the world by spreading my culture, educating others, and advocating a healthy diet. But as seafood prices started to rise disproportionately to the rising popularity of sushi, I started to wonder if there was something I wasn’t seeing. I sat down and decided to start doing some research on how the species of seafood we used were caught and shipped to our restaurant. What I didn’t know at the time was that I was about to dive into a wormhole of tragic information about sustainable seafood the rapidly declining fish populations. But don’t worry, I won’t rant about each species of seafood here (that would be enough information to fill a book or two). That’s not what this post is for. 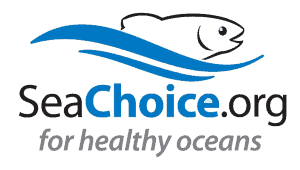 This post is made to show you how to identify sustainable seafood and why it’s important for your health. Sustainable seafood is incredible for your health because (in most cases) the seafood is caught in it’s natural habitat as opposed to being farmed. Seafood that is irresponsibly farmed can also be directly exposed to pesticides, antibiotics, and/or growth hormones which are added to the water of aqua-cultured fish. 1. 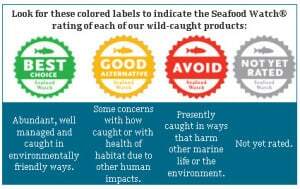 Learning how to identify sustainable seafood can be difficult because there are no visual indicators outside of the packaging & label. 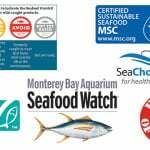 The easiest way to identify sustainable seafood is to look for third party, certified products. The process to become certified as being sustainable is lengthy, thorough, and costly. So most products that go through the trouble to become certified will most certainly put it on their labels. 3. There’s also a third party that has made being able to identify sustainable seafood so easy that anyone can do it. 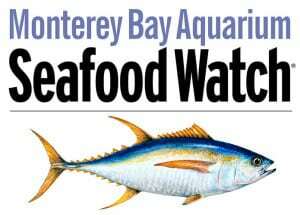 The Monterey Bay Aquarium Seafood Watch Program has created a beautiful app called Seafood Watch. 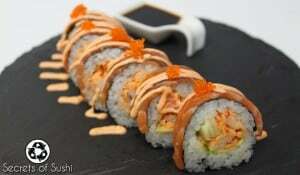 Within the app, there is a separate section designated for sushi! The app is available for iOS and Android as well as being completely free. In addition to being able to look up sustainable seafood by common and Japanese names, the app also has a feature that allows you to add restaurants and stores where you’ve found ocean-friendly seafood. That means that you can locate businesses where others have found sustainable seafood as well! If it’s so good for your health and for the environment, why doesn’t everyone eat sustainably? I can’t afford to buy expensive seafood. This is the biggest sticking point for most people. Seafood is already expensive and sustainable seafood is even more so. But much like grass-fed beef and organic vegetables, it’s completely worth it – especially if you’re eating seafood raw. I don’t really care about the environment. What about your health? This isn’t just about the environment or the populations of sea life. Eating seafood can be just as harmful as it can be beneficial for your health. Additional side effects of eating unsustainable seafood include increased prices, scarcity of species you enjoy eating, and the potential extinction. 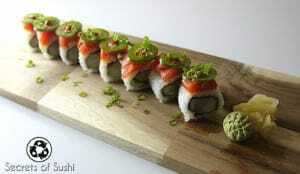 If you think eating sushi is expensive now, wait until the supply can’t meet the demand. 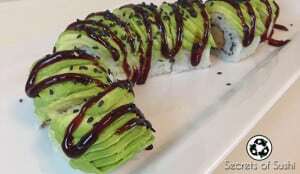 I don’t want to eat healthy, I just want to eat sushi. 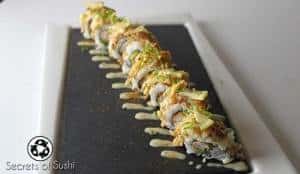 I know that eating deep fried rolls and spicy mayo tastes good, but skimping on the sauces and avoiding fried ingredients is all you have to do to make it healthy. 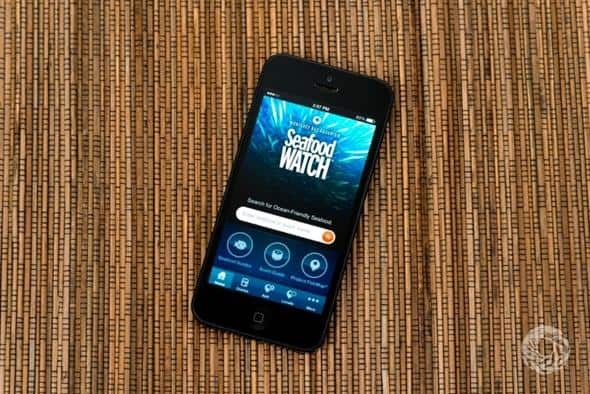 While you’re at it, pull up the Seafood Watch App and make a sustainable selection to really boost your health. It’s too much trouble to eat sustainably. There are some grocery stores that carry predominantly sustainable seafood, like Whole Foods. They have convenient indicators that let you know exactly how sustainable their seafood is. It can’t get much easier than that! Click on the link above to find a Whole Foods near you. I don’t know how to tell if it’s sustainable or not. Well then you’re on the right article! At this point, you’ve gone through all of the content and should have a better grasp on how to identify sustainable seafood.Also, there’s an App for that! The Seafood Watch App is fantastic. It’s easy to use, it updates every time you open it (as of this post), and I use it ALL the time – just to be sure. Learning how to identify sustainable seafood and being a savvy consumer isn’t as hard as it might seem, but it can make a huge impact over time. When I think about the ocean how much damage we have caused over the years, it’s easy for me to become discouraged and start to feel hopeless. But this is actually one of the areas that we can collectively contribute to the improve. We don’t have to jump on a ship and seek out fisherman who cut corners for the sake of profit- We just have to stop supporting their practices financially. If we don’t buy their products, then they will either change their ways or go out of business. It’s truly empowering to think about the impact that we can have if we start to invest in our health and our environment. It starts with YOU. It starts with your first purchase of sustainable seafood. It starts when you spread the word and talk to your friends about seafood sustainability. 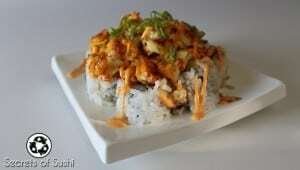 Together, we can really make a difference in the world and ensure that sushi can be enjoyed for generations to come. Let me know what you think about eating sustainably in the comments section, below, and tag a friend who you think would be interested, too! Have any questions about how to identify sustainable seafood? Leave them in the comments section and I will get to them as soon as possible!